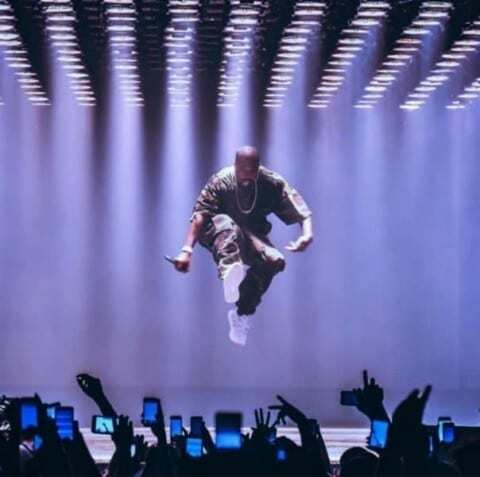 Kanye West: Genius or Crazy? Home 2017 September 20 Kanye West: Genius or Crazy? How has Kanye West negatively and positively influenced our culture? Kanye West has had one of the best musical discography of all time. His innovation in the music industry has pushed all types of genres of music forward whether it be with new lyrics, instruments, auto-tune, or performing. He has placed his views on religion, people, and culture as a whole front and center. Never afraid to say how he feels. His opinions can be viewed one of two ways, abrasive, or genius. There is no doubt he has affected our generation, but in what way is the question. He has been known for single handedly innovating the music industry to new heights whether it be from new sound, fashion or stage ideas. He is the first modern day rap rock star. But has his vision and ideas made us become thinkers and doers, and strive for innovation, or has he taught us that rules do not apply us? Is this Cultural Phenom really good for us? I want to find out peoples true perception of Kanye. He is a bigger than life person with an even bigger mouth, so I want to see if they view Kanye as the abrasive person who can not control himself, or if they really pay attention to him and listen/view his art. It is really a case of if you judge a book by it’s cover or if you look in depth at the person and his discography. Kanye West: Genius or Crazy? by Colin is licensed under a Creative Commons Attribution-ShareAlike 4.0 International License. Motivated to find an answerHow do we impeach our President? Dear Colin, there is no doubt that Kanye West and other rappers have played a huge part in changing the lives of youth throughout the country and the world. When you ask the question of if Kanye has played a negative role in our lives or a positive role, I would answer with both. Kanye has brought light to many social issues throughout our country today, but he has also idolized himself. I think that Kanye should be revered as an artist, not as an idol that people worship. His thoughts and ideals are genius when you take them to heart, but the way he portrays himself and his life should not be an example to our new generation. I am satisfied with your post because most people do not see the genius in Kanye West’s artwork. As Crazy as West may seem, he really does have good ideas and he does make good music. One thing you said that stands out for me is: “I want to see if they view Kanye as the abrasive person who can not control himself, or if they really pay attention to him and listen/view his art.” I think this is interesting, because you pose a very interesting question and a interesting point of view. Kanye West has some of the most unique views in hip hop, and your post shines light on this. I am intrigued by your post because I agree with how Kanye has changed the rap world with instrumentals and auto tune. He has set a different type of culture which everyone loves. He has set the world on fire with new fashion and has set high heights with new sound. One thing you said that stood out to me is when you said, “He has placed his views on religion, people, and culture as a whole front and center. Never afraid to say how he feels. His opinions can be viewed one of two ways, abrasive, or genius. There is no doubt he has affected our generation, but in what way is the question. He has been known for single handedly innovating the music industry to new heights whether it be from new sound, fashion or stage ideas.” I think this is interesting because Kanye isn’t like the rest of these rappers. He stands for what he believes is right and kind of stands in his own category in this rapping world unlike the others. He might be one of the best top unique rappers in history. I am very intrigued by your post about Kanye West because personally I am not a hip hop person but I feel Kanye West has not made good choices in his life. It’s very true that nobody does but his however are more public and I would say he is very vocal about it also. I heard that he is a very good rapper in the hip hop industry so I do respect that. One thing you said that stood out to me was “Never afraid to say how he feels. His opinions can be viewed one of two ways, abrasive, or genius.” I think this is interesting because this shows how much influence he can have over people. Whether through his music or not, his ideas seemed to be liked by a lot of people. Thanks for sharing your post. I look forward to seeing what you write next, because you introduce and talk about today’s pop culture. And that you are asking a question to your audience and giving a general idea towards the topic. I found this intriguing and I have a couple things to say. Someone crazy isn’t able to reach that sort of success, inspiring people, and altering hip-hop. It takes creativity, passion, and understanding of your craft and art. Kanye does out of the ordinary things but i still respect him as an artist even if he were crazy. Your Essay is very good because you show and explain your personal view of Kanye’s type of style and way of living. As if he was made to speech and become a very big influence. You say “Never afraid to say how he feels. His opinions can be viewed one of two ways, abrasive, or genius. There is no doubt he has affected our generation, but in what way is the question”. You make this statement and it sticks out to me because Ye has thrown down a lot for the music game and for the youth by making clothing and speaking his mind about his perception. It is very interesting because this man has changed a lot of things in this century. I myself am not a big fan of Kanye west , but i do like some of his older tracks. I also think that Kanye has made a huge impact on our generation, he has been an iconic symbol and will be remembered just like william shakespeare because he is a poat from our genretion. Kanye west has aslo manufacture his own shoe and has made it one of the most iconic shoes other then the jordan, every celebrities has a pair of the yeezys, some of the shoes are going up for $20,000, and he has done all this in less then 3 years. It seems like kanye been making good decisions his whole life, wifing up kim has to been a reason why they are both so successfull , they are a power couple, they will keep geting richer, they will take over this generations if they havent already. I Believe Kanye West is a big impact on our generation.Even though people do think he is crazy he has impacted us in a good way and a negative way.He tries to be different which has helped him bring new ideas and make people have a different point of view.I agree with your opinion with he has made a big impact on our generation. I found the title of your topic very intresting.I too think Kanye West is an intresting person.I think he does try and influence the youth because he’s always woke and trying to help us stay woke,but clearly some people don’t understand that and they just think dudes crazy. Although he could be crazy as well,or not crazy but because his mother died he hasn’t really been the same. I very much enjoyed reading this!